It takes a lifetime to find our perfect match, but it only takes a moment to delight on the match that is perfected for you, on the wedding day, but it lasts forever. When you do find that match, though may not seem too perfect, but perhaps and probably the right match for you, and you'll know it for sure, time binds you together till you realize you want to spend the rest of life with that person-the love of your life, your better half also known as your other couple. Holy Matrimony is what completes the whole splendid and romantic package. And it is every dream of the bride-to-be to be lavished and swooned over as an opportunity for her beloved to prove his love and his capability to build a lifetime of love and joy. It was an honor for me to be one of the guests, as the genius behind Wedding Belle magazine thought of having it in the internet, thus weddingbelle.com.ph was launched. 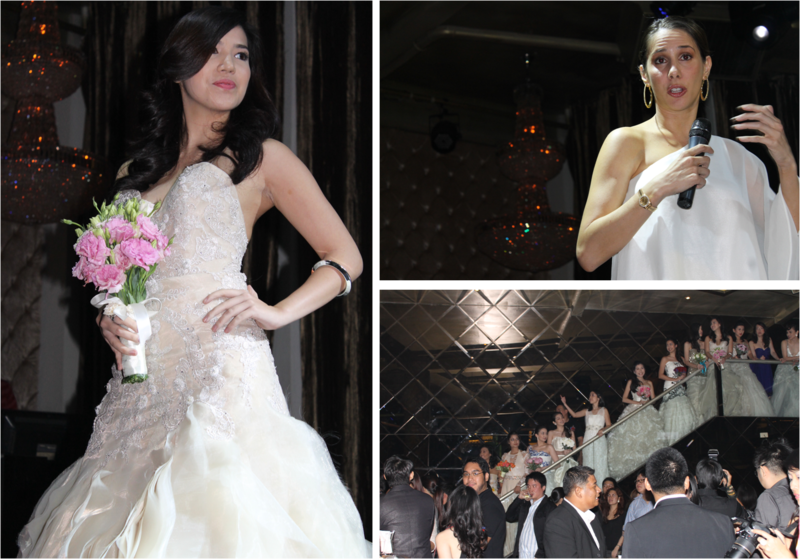 Prive was the venue, where models sashayed donning the latest creations of prestigious gown designers, bridal accessories and floral arrangements to name a few of the resources the online magazine would like to present. 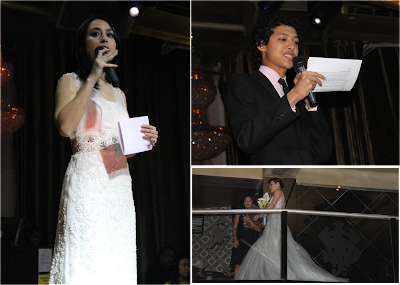 There is no doubt that engaged couples all over the Philippines are bursting with excitement over their upcoming wedding. However, the bride, despite her best efforts, can get lost in all the preparation details. With the official launch of the website, Wedding Belle promises to be there for couples every step of the way. It has evolved from being a printed magazine to becoming a website, e-magazine for mobile devices, and Facebook page for 24/7 reference because it is that dedicated into delivering what’s hot in the industry. 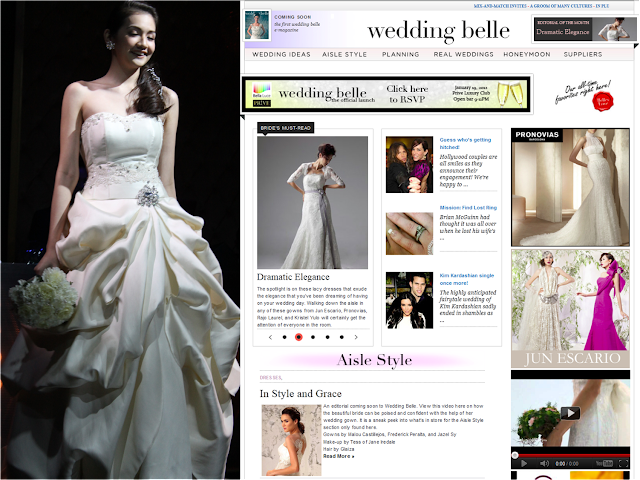 Wedding Belle has revolutionized planning for weddings in the Philippines as it is the ultimate local online destination for high fashion, reception theme ideas, planning advice and top-notch suppliers. Waiting for the next issue to hit the stands is a thing of the past since the website provides updates at everyone’s fingertips. Brides, grooms, entourage members, and wedding guests can now browse through the website’s library of gowns, suits, and accessories from the most distinguished Filipino designers in the Aisle Style section. They can easily draw inspiration from the themes featured under Wedding Ideas. Visitors can even browse through invitation designs, flower arrangements, music playlists, venue options, reception themes, and cake concepts. 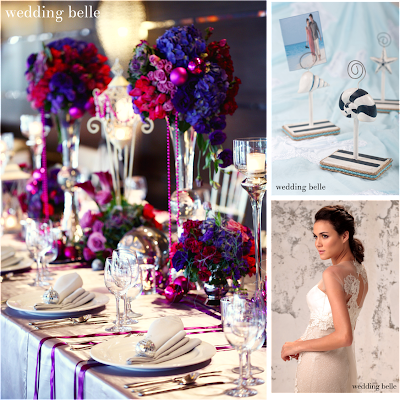 Wedding Belle also features couples that have successfully tied the knot in our Real Weddings and Honeymoon sections. The site’s Planning section provides expert advice, and about future homes. The Suppliers section will point brides in the right direction too when it comes to the fine details. What’s more, is that the periodic e-magazine is free for download so that brides can refer to it offline on their mobile devices. All in all, the young modern-day bride will just love the different features Wedding Belle has for glamorous weddings and out-of-the-box receptions. The connectivity and convenience it has will lead the way for engaged couples today and for years to come. Whether they are browsing the website, reading the e-magazine on their mobile device, or are connected through the social networks, Wedding Belle’s interesting reads and fashion editorials will keep visitors coming back as it helps them create that special day they’ve always dreamed of. The event also began with cocktails and some treats prepared by Purple Dish Catering. Yes, me too. I love being at a wedding and most specially play a part on it. If it will still take you years for this, I guess you just have to make the most of those years. I'm sure the best timing will come for that. wedding planner will have an eye when my wedding comes. hope it will be cool like those i've seen in movies. Hi Spiky, if that day comes I hope you consider this page , for sure it would be of great help! good morning Joy! yes, i definitely would. thai fish sauce is very different from ours...it is milder than patis. about the resto, have you tried Pho Hoa, a vietnamese resto at level 2 of gateway? sarap ng noddles dun, may fresh basil din. tsaka katabi ata nilang stall is thai. and i just learned that in pho hoa, pwede rin bumili ng nam pla or vietnamese fish sauce. pwede mo rin subukan ang lasa, lalo na kung may mangga kayo, sawsawan ba. wow! Congratulations, happy to hear that, Kim! 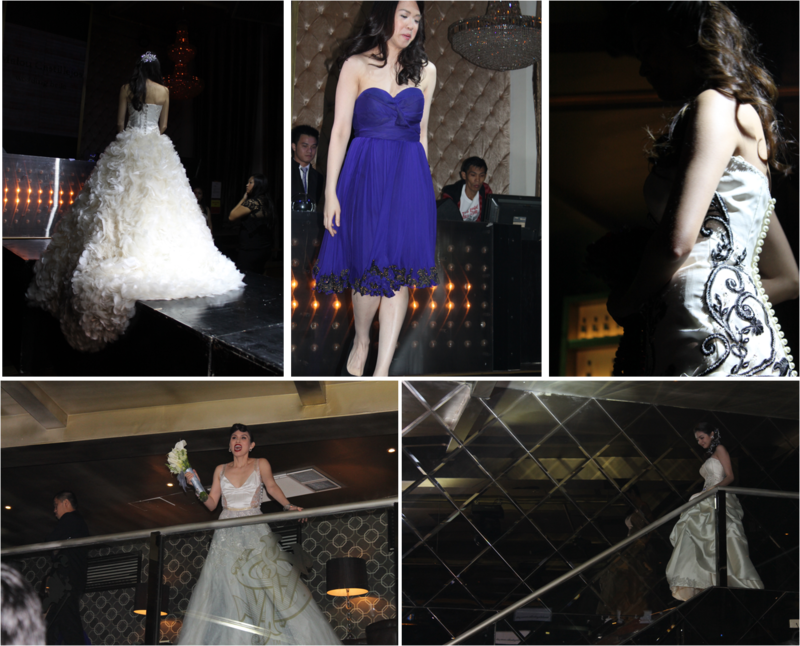 If you do need other help I could refer friends to you, for pre-nup photos and event organizing. That's a good news indeed. You need to have a pre-nup photos to make your wedding more memorable. You can also make a video to make the whole experience relishing. I guess you just have to make the most of those years. I'm sure the best timing will come for that. Yes, I guess you should be do this every year.